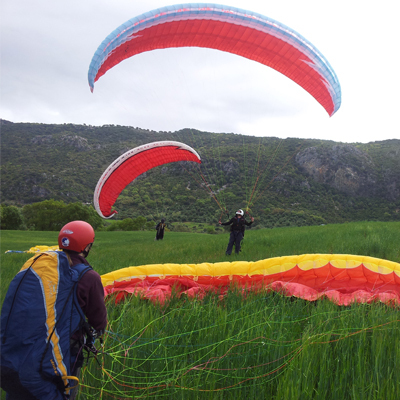 For instructors and paragliding schools bringing their own group of students and then working parallel to our staff. 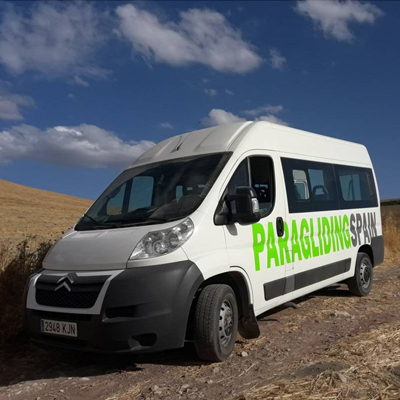 Includes one or two weeks´ use of our classroom facilities, full flight equipment, accommodation plus transfers from/to the airport. 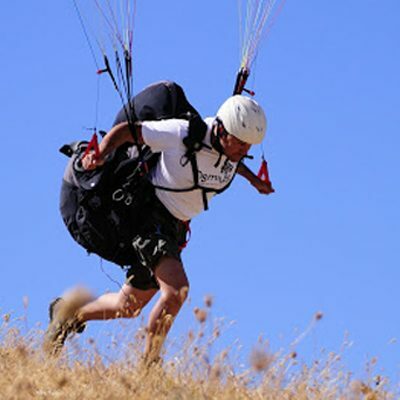 Service for professional instructors and paragliding schools. 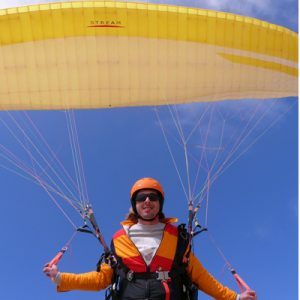 Extend your paragliding course season during wintertime. 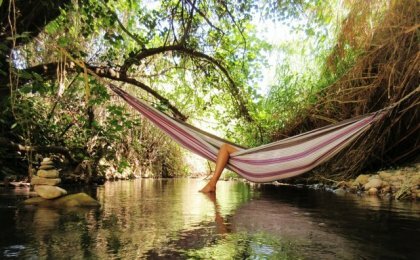 Why notoffer your students an attractive course at the same time as they enjoy a holiday in a different country? 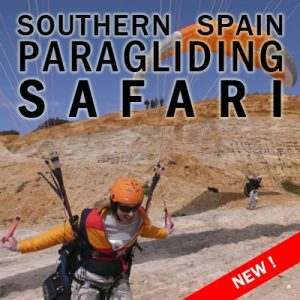 For many years different paragliding schools have been co-operating with us: They come because the weather here in southern Spain is usually better than in their own countries, especially in winter and autumn, and they can qualify a group of students in a short time. 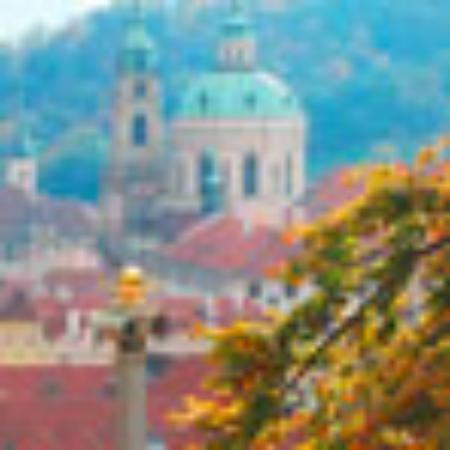 COURSES FOR BEGINNERS: Qualify a good number of students in record time! 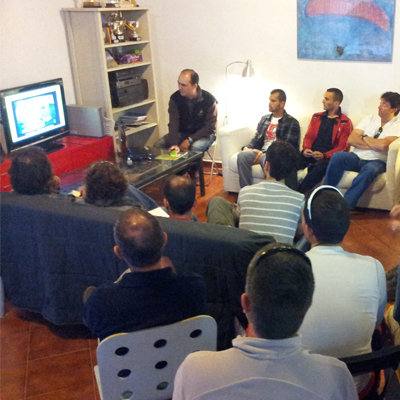 It is normal here to finish a beginners´ course in one week. 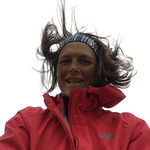 You can also offer two consecutive weeks for a full combined EP+CP course. 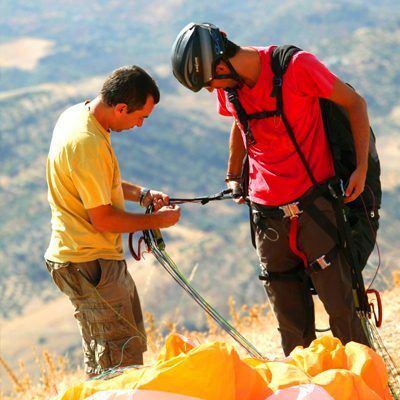 POST CP COURSES: Offer Post-Club Pilot courses to your recently qualified students. 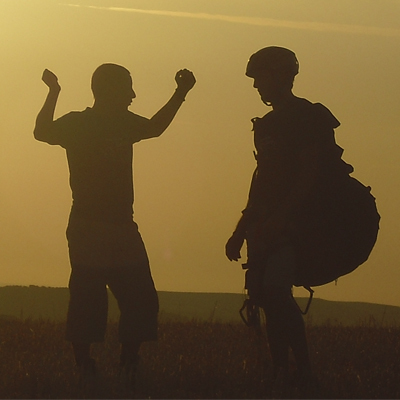 CROSS-COUNTRY CAMPS: We can also help you to organise a Cross-country course for pilots without XC experience. These courses are getting more and more popular. YOU BRING THE STUDENTS, WE DO THE REST! 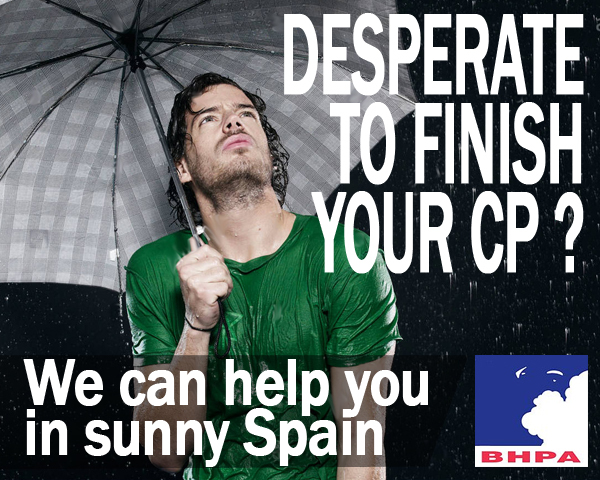 Advert your course in Spain and get a group of students (Minimum 5 and Máx. 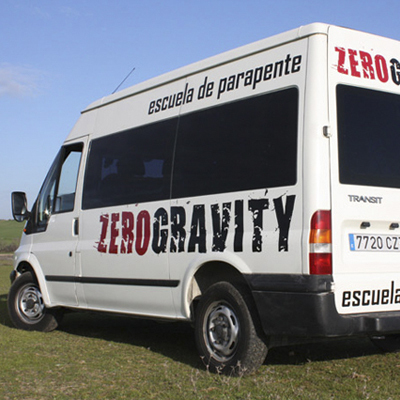 7 students per group/week). You don't need to mention the name of our school; You will be in charge of the course - We will only be co-operators. You just need to bring your toothbrush: we will provide you everything you need to work with your students. 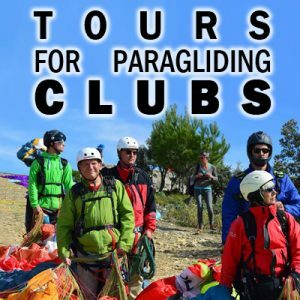 If you come with your own team of instructors, we will provide you a local guide who will decide where to fly every day and who will help you with everything you need. But if you are a CFI and you come alone, our professional instructors can also help you during flying practice with the students. 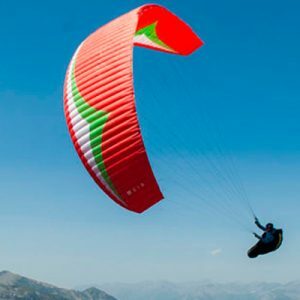 Because we know that you only have a short time to complete your paragliding courses, we will put all our efforts in to get the most out of each day. 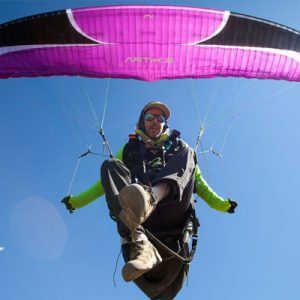 Mini-paragliders: Too much wind to fly? 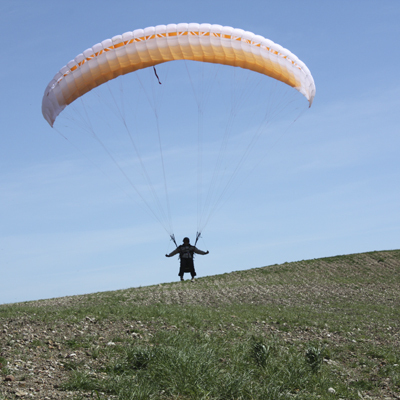 No worries… we won’t lose that time; with our mini-wings of 13 m2 surface, the students can practice ground handling even if the wind is strong! We have a private flying site where you can work in a quiet environment and your students can fly without too many other pilots around. 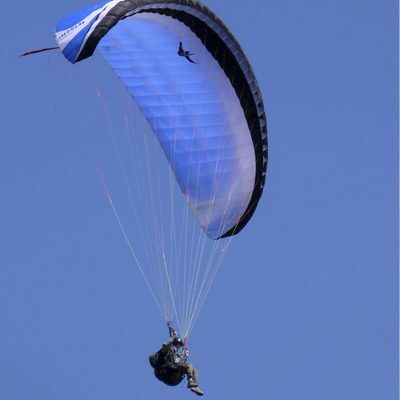 We can fly in more than 12 different spots and we don't mind moving to another area if it is necessary due weather conditions. You just bring your students and we provide you with all that you need to work here. 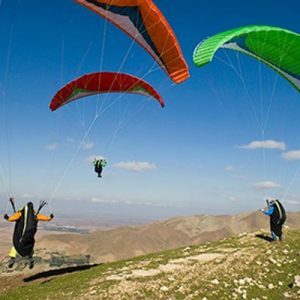 Professional instructors to help you. Classroom with wifi, a big screen projector and also a simulator. 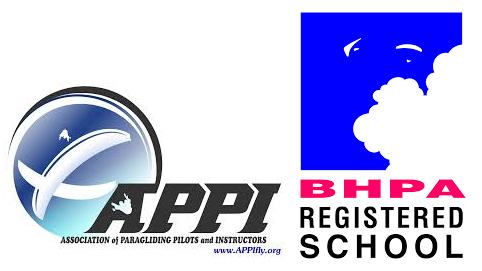 Full certified flight equipment for the students, including helmet, radio and reserve. 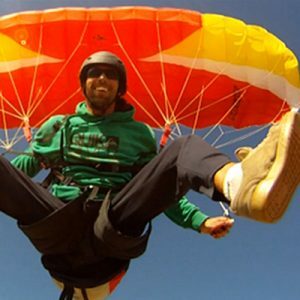 Any permission or authorization required to access to the flying sites. You just bring your students and we provide you with all that you need to work here.Many happy customers endorse our work because of our professionalism and experience. 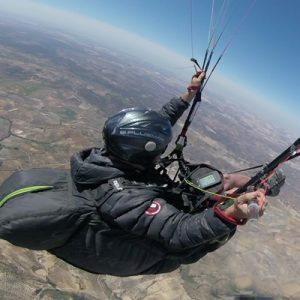 Because in Spain we have the best climate conditions to fly paragliding the whole year-round, especially in winter; while the rest of Europe is frozen, we can fly great thermals at 18-20ºC! 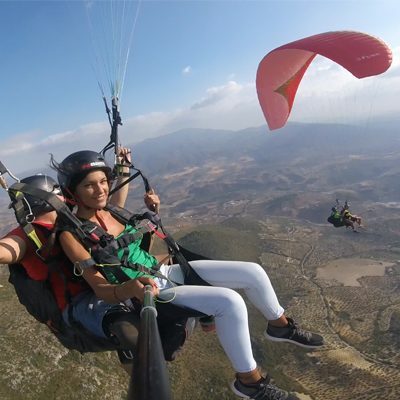 The mountains of Algodonales are one of the best paragliding spots in southern Spain and one of the most popular in Europe, especially in autumn and winter. 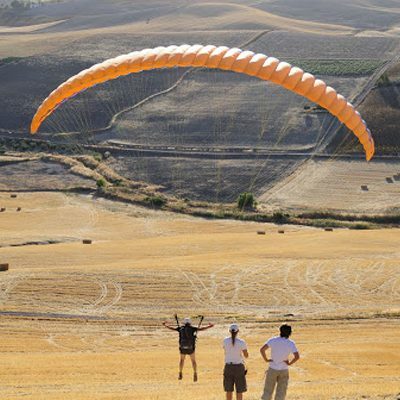 It is also an easy place for beginners, full of big landing areas. The coast is just one hour away and offers two other easy coastal flying sites above sand dunes. 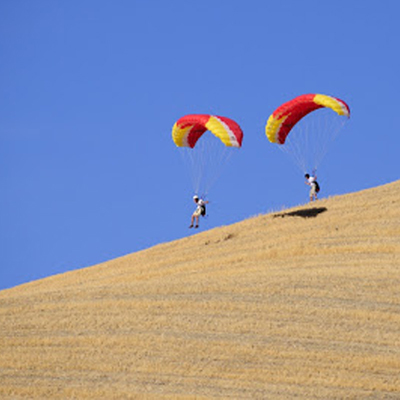 Accommodation is included in the price of our paragliding services. 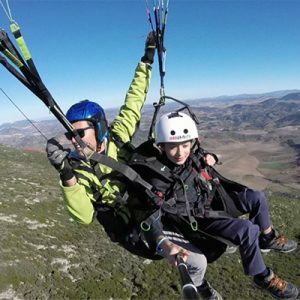 Most of the accommodation that you can find at Algodonales are focused on paragliding pilots, and they are based in shared double rooms in a house with kitchen facilities. Anyway, you can choose a single room or you can add extra nights during the online booking process. 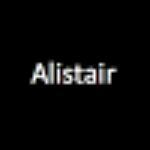 Please contact us for a personal service and to get a quote.